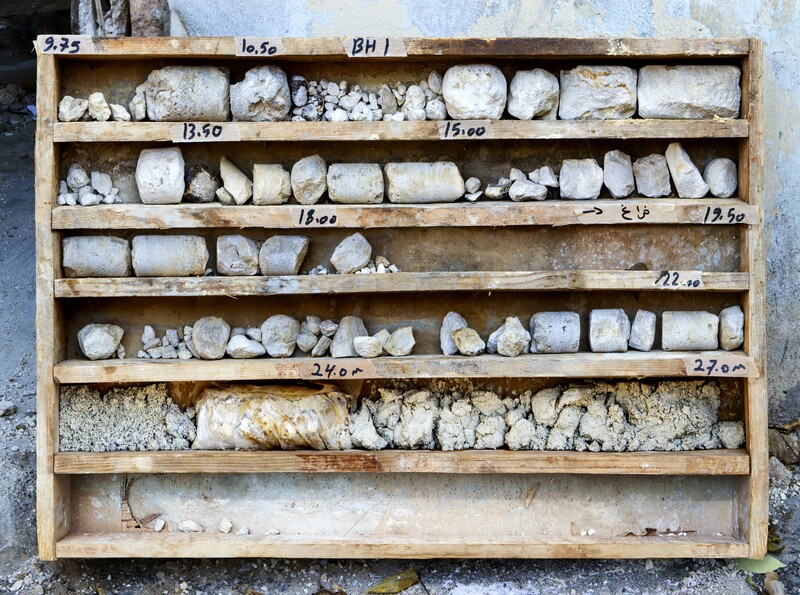 While on the construction sites in Beirut, Hadjithomas and Joreige photographed the cores within boxes, immediately after they had been extracted from the ground. 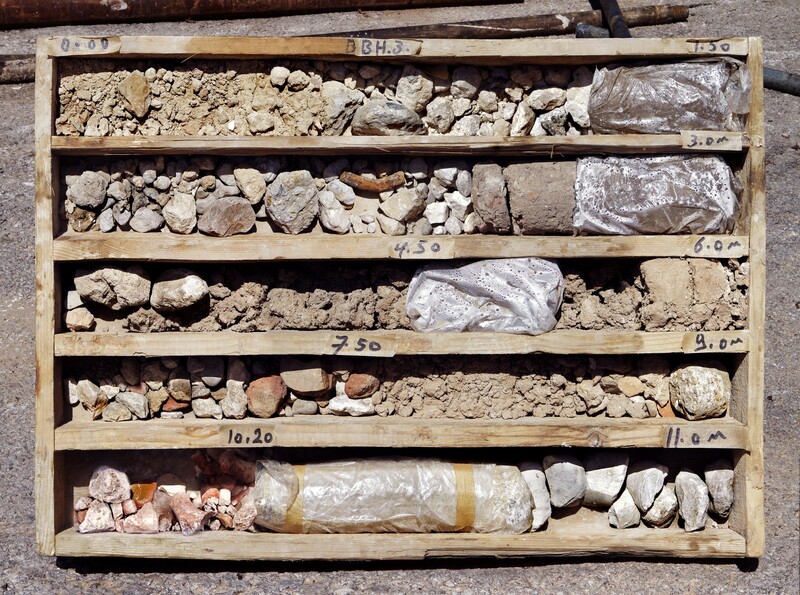 This process of extraction is a necessary one; a bore drills several meters underground in order to collect material samples, used to determine whether the site is suitable to be built upon. Then, once the samples have served their function, they are thrown away. Boxes record the cores in this initial state, before the subsequent processes of artistic intervention made by Hadjithomas and Joreige. Some elements are wrapped in plastic, in order to measure the levels of humidity that they emit, or to slow the process of disintegration that naturally occurs after extraction. From the outset, the artists called upon the help of local geologists and archaeologists to help them read what had been taken out from the ground, an invisible world that they can share.